Home > Silver Articles > How much is a silver quarter worth? 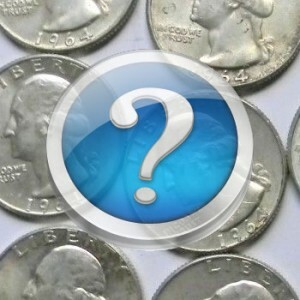 Find a 1964 or previous silver quarter in a vending machine return slot, pocket change, or an old drawer? You just may be asking yourself..self..How much is a silver quarter worth? 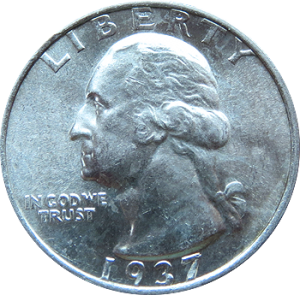 We are happy to tell you that most any quarter minted before 1965 is worth at bare minimum $2.71 this calculation is based on the current silver price of $14.98 Pretty good right? At the very least much better than the .25 face value that most quarters have. That is much better than the face value of .25 right? You can probably take it by a coin dealer and get somewhere between $1.51 and $1.96 as they rarely pay spot for coins. 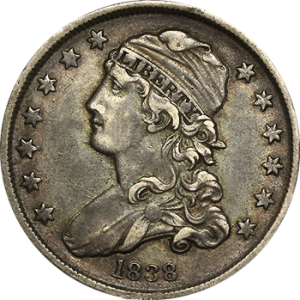 If you are more interested in the numismatic or collect-ability of this coin click here for quarter prices. Like some more information? – Well what type of quarter is it? Click on the image below that best matches the image on your coin.